Encana Corp. has agreed to sell a more than 6,800 producing gas wells and other portions of its Clearwater assets in southern and central Alberta for about $605 million to Ember Resources Inc.
Calgary-based Encana Corp. has agreed to sell a more than 6,800 producing gas wells and other portions of its Clearwater assets in southern and central Alberta for about $605 million to Ember Resources Inc. The deal will more than double Ember's land and production holdings in Alberta, which are concentrated on coalbed methane lands in the Horseshoe Canyon area. The Clearwater assets going to Ember include about 485,600 hectares of land and wells that produce the equivalent of 180 million cubic feet of natural gas per day. Encana will retain about 445,000 hectares of its Clearwater assets, including 194,000 hectares along the Horseshoe Canyon Fairway. The Ember deal is the latest major transaction for Encana, which has been diversifying to include more oil and natural gas liquids. Encana announced last week that it will buy Texas-based Athlon Energy Inc. to gain entry into the oil-rich Permian formation. It has also been selling Canadian assets, including through the spinoff of some of its assets into PrairieSky Royalty Ltd. and the recently completed sale of its Bighorn assets in Alberta to Jupiter Resources. 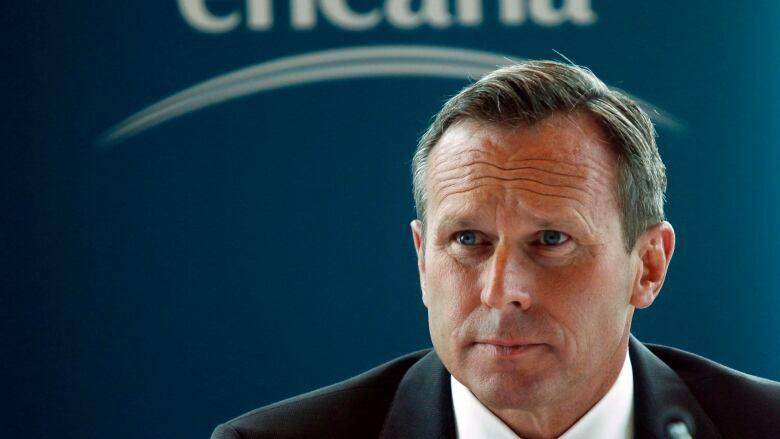 Doug Suttles, Encana's president and chief executive, said the Ember deal is a continuation of its efforts to unlock value from non-core assets such as "dry" natural gas wells in favour of liquids-rich gas assets and oil. "Our growth portfolio now includes the top two resource plays in Canada, the Montney and the Duvernay, and the top two resource plays in the United States, the Eagle Ford and, by year-end, the Permian Basin."